At Lakeland Ford, our highly qualified technicians are here to provide exceptional service in a timely manner. From oil changes to transmission replacements, we are dedicated to maintaining top tier customer service, for both new and pre-owned car buyers! Allow our staff to demonstrate our commitment to excellence. 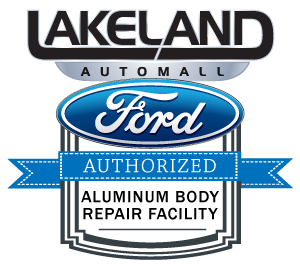 Find out why Lakeland Auto Service and the quality of Lakeland Ford is the preferred maintenance and repair facility in Lakeland. Our expert technicians and certified mechanics know your vehicle inside and out! Plus, our techs have the years of experience to work on any make and model of vehicle. Don't trust your repair to just anyone - make sure you are getting genuine parts and certified technicians working on your car every time.